So, you’re just enjoying a pint, and in walks Luke Skywalker. 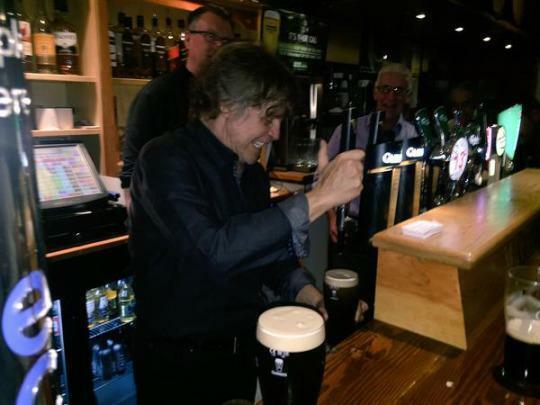 Mark Hamill stunned patrons of the Bridge Bar in the small town of Portmagee in Ireland on Wednesday night, by popping in for a few drinks. The 63-year-old Star Wars legend is in Ireland filming ‘Star Wars VIII’, being directed by 'Looper’s Rian Johnson. The set of the movie is on the remote island of Skellig Michael, off the coast of Kerry in south west Ireland. But Hamill made the trip over, and poured fans some drinks in the pub – likely practising his shamrock technique. 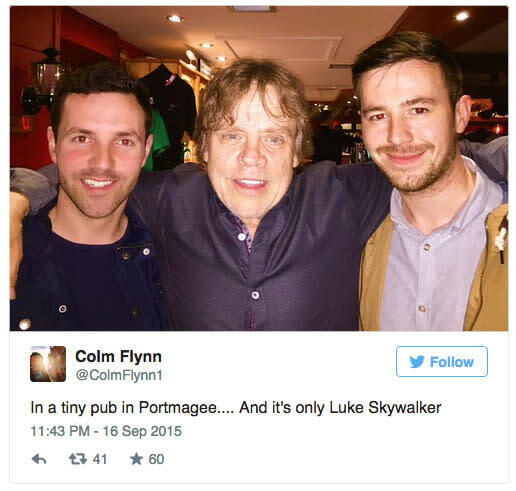 Local Steve Lynott told the Irish Examiner: “There was a great atmosphere in the bar last night as Luke Skywalker got behind the bar to give the lads a hand. Hamill also recently rubbished claims that he 'nearly died’ on set last week, in a close call walking on the edge of a cliff. It’s also worth noting that the actor appears to have lost the bushy beard from 'Star Wars: The Force Awakens’, adding additional mystery to what role Luke plays in the new movie. We’ll just have to wait until May 26, 2017, to find out.